Blog to End the Occupation: Why is HRW Unwilling to Stand with Human Rights Defenders? Why is HRW Unwilling to Stand with Human Rights Defenders? Phyllis Bennis is co-founder of the US Campaign to End the Israeli Occupation. It is disappointing to see HRW's unwillingness to stand with those who are working to promote and defend human rights. When the UN Human Rights Council sends its independent investigators, known as Special Rapporteurs, around the globe to investigate the denial of various human rights, it's not unusual for governments accused of violating those rights to go pretty far to keep them out. So when Israeli security personnel detained Professor Richard Falk at Tel Aviv airport in December 2008, imprisoning him in a crowded, filthy jail cell overnight and expelling him the next day, it wasn't particularly surprising. Falk had recently taken on the role of United Nations Special Rapporteur for Human Rights in the Occupied Palestinian Territory, and Israel had made clear it had no intention of co-operating with his mandate or of implementing its obligations as a UN member to facilitate Falk's official missions. As the Occupying Power, Israel has for years responded with outrage to human rights criticism and, with US backing, has increasingly directly repudiated UN authority and legitimacy. Perhaps it isn't even so unexpected that Falk - whose work has been scrupulously fair - has been criticised as well by Palestinian factions, including both Fatah and Hamas. But it's pretty rare for Special Rapporteurs to face condemnation, insult, attack from high-ranking UN officials, including the Secretary-General, or powerful diplomatic actors from their home country - such as US representative to the UN, Ambassador Susan Rice. Since taking on the mandate nearly five years ago, Falk has faced those attacks and more. Most of the attacks are the result of pressure campaigns launched by a small Geneva-based right-wing organisation called UN Watch. While hardly known outside of UN headquarters in Geneva, UN Watch has tried to make a name for itself among those bigger players also committed to undermining the United Nations and to uncritically defending every Israeli violation of human rights and international law. 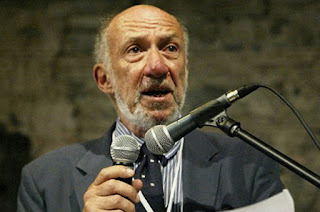 Undermining and delegitimising Richard Falk has been an obsession of UN Watch since he became Special Rapporteur.